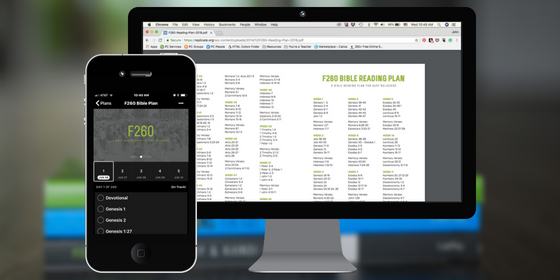 The F-260 is a two hundred and sixty day reading plan that highlights the foundational passages of Scripture that every disciple should know. 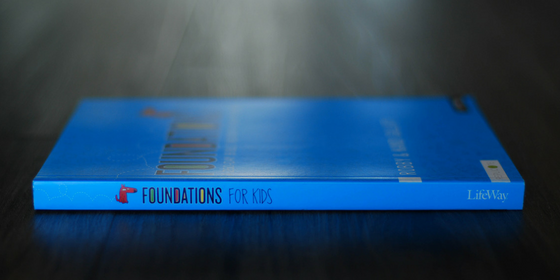 The plan expects believers to read 1 or 2 chapters a day for 5 days each week, with an allowance for weekends off. The 2 off-days a week are built in so you may catch up on days where you’re unable to read in order to digest more of the Word. The F-260 encourages believers to read less and to keep a H.E.A.R. Journal. Here is a sample H.E.A.R. entry. All you need is a pack of index cards and a committed desire to memorize God’s Word. It’s easy: write the reference of the verse on one side of the card and the text of the verse on the other. Focus on five verses at a time, and carry your pack of Scripture cards with you. What are people in the church saying about F260? Get the version that fits you. "...so as to walk in a manner worthy of the Lord, fully pleasing to him, bearing fruit in every good work and increasing in the knowledge of God."